This is a very lovely boat! Many upgrades! 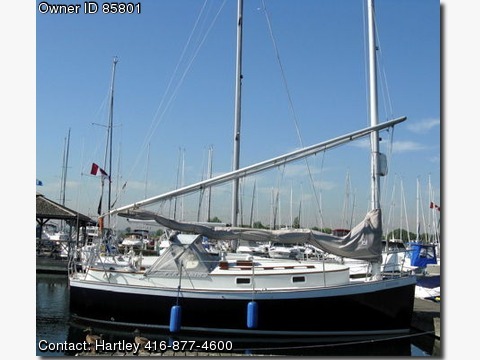 upgrades in 2005 including electric halyard winch, raymarine st4000 autopilot, raymarine ST60 wind speed/closehaul unit, new sail cover ,new upholstery,new fenders and lines, CD ,mp3 stereo system. Teak cockpit table and grate Builder: Hinterhoeller LOA: 26' LWL: 24'6" Beam: 10'6" Displacement: 8,500 Draft: 4'6" Engines Engine(s): Diesel Engine(s) HP: 13 Engine Model: Westerbeke Tankage Fuel: 24 Gal Water: 25 Gal Accommodations Single Cabin 4 Berths Marine Head Pressure Water Shower / Hot water Two Burner Stove Propane Oven Ice Box Sails/Rigging/Deck Sobstead Main Dodger 2x anchors and chain 5 Barient and Muir Winches Rode Lines and Fenders Wheel Steering Cockpit Cushions Electronics Horizon VHF Ritchie Compass Datamarine Speed ST 60 Wind Datamarine Depth AM/FM/Cassette Electrical 2 Batteries 50' Cord Engine Alt charger Additional Many upgrades in 2005 including electric halyard winch, raymarine st4000 autopilot, raymarine ST60 wind speed/closehaul unit, new sail cover ,new upholstery,new fenders and lines, CD ,mp3 stereo system.